If unwanted pests like ants, bees, mice or rats have invaded your home or business, enlist the help of the professionals at Tessier Pest Control. We're a fully licensed, locally owned and operated business with over 40 years of experience in the industry. 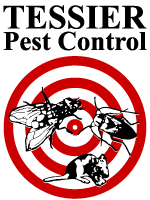 You can rely on our bilingual technicians to control your pest invasion safely and effectively. In fact, we stand behind our services with written guarantees. Tessier Pest Control wants to help you say goodbye to your unwanted house guests once and for all. We're highly experienced with pest problems common to homeowners in the Martintown area and are usually able to be on site within 24 hours. Whether it's bed bugs, spiders or mice, we'll show them the door. Check our monthly specials to see how you can protect your home or business for less! Pests can be a destructive force at your place of business, damaging inventory or chasing potential customers away. We'll work with you to not only ensure the pests plaguing your property are dealt with efficiently, but stay away too. We're familiar with providing pest control solutions for a wide variety of property types including retail shops, manufacturing facilities, restaurants and more.